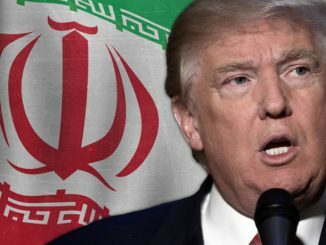 The cascade of Orwellian lies that US President Donald Trump has used to rationalize why his country is reneging on the commitments it made under the Iran nuclear deal should be posing a genuine problem for our media. What Trump has done to the Iran deal runs dead against New Zealand’s best interests in limiting nuclear proliferation, in peacefully integrating Iran within the global economy, and in reducing the likelihood of war in the Middle East. Not to mention the fact that Trump is also raising the potential of sanctions being extended in six months time to apply to any country (including New Zealand) that continues to trade with Iran. In future, it would seem that our trade partners may need to be vetted by the man in the White House. Basically, if our media doesn’t immediately fact check Trump’s stream of propaganda…the media becomes a simple megaphone for spreading it. We have to do better than serve as a passive channel for the Fox News view of the world. The full text of what Trump said is here. For what its worth, here are a few comments on Trump’s litany of lies. 1.“The Iranian regime is the leading state sponsor of terror.” No isn’t. That would be Saudi Arabia, which either directly or through its ‘charitable foundations’ has been the seed funder of al Qaeda, Islamic State, the al-Nusra Front, the Taliban and similar organisations from Africa to the Philippines to Indonesia. Lest we forget, 15 out of 19 of the 9/11 attackers were Saudis. Nor does Iran pose a significant military threat to the Middle East, let alone the rest of the world. Last year Iran spent $15.9 billion on armaments, a figure dwarfed by the $69 billion spent by Saudi Arabia in 2017 – a year in which the Saudis eclipsed Russia to become the third biggest military spender in the world. Iran’s enemies include the US ($610 billion on arms last year) Israel (circa $20 billion pegged for 2018) plus host of other hostile nations (Jordan, Kuwait, Bahrain etc) All up, Iran spends considerably less on arms than Australia and only a little more than Singapore. Morocco, Algeria, Tunisia, Libya, Egypt, Sudan, Jordan, the West Bank, Saudi Arabia and the Gulf, and Turkey are entirely independent of Iran, and Tehran has almost no influence in any of them where it is not actively despised. Iran is influential within the limited arc of Iraq, Syria and Lebanon. Lebanon is a small country of 4 million with no hydrocarbons and a gross domestic product of $50 bn. (similar to Bulgaria and Croatia). And it isn’t exactly hostile to the US, despite a Cabinet that tilts toward Hizbullah and Iran [That’s because some of Lebanon’s politicians are Christians]. Syria is a small war-racked country of 18 million and 11 million internal refugees, has no resources to speak of, has an army of perhaps 50,000 men and is just not important. Iraq is the only important asset of Iran by the economics and demography, but it is simultaneously an American ally with a 6,000-strong American troop presence and a US command. Moreover, the influence Iran does undoubtedly enjoy in Iraq has been the direct consequence of the US invasion of 2003 that toppled Saddam Hussein (Iran’s deadly rival) and thus enfranchised the Shi’ite majority of the population. Even so, Iran’s main ally and political vehicle in Baghdad – the Dawa Party – has recently split in the run-up to this year’s elections in Iraq. In sum, Iran’s regional influence has always been very limited, and – if anything – this influence is diminishing, not expanding. 3. Iran is stirring up trouble via its proxies in Syria and Yemen. This is another bizarrely selective distortion of reality by Trump. Yes, Iran has been actively engaged in Syria – but it has been fighting on the US and Russian side of the conflict, against Islamic State. It has been fighting the other Sunni fundamentalist militia that were armed and initially funded by Saudi Arabia, and unleashed by Riyadh to destroy a Syrian regime seen to be too closely allied an ally of Iran. The reality Trump completely ignores is that almost all of the regional /global terrorist threats are (a) more closely aligned with Saudi Arabia, (b) are Sunni ideologues and are therefore (c) implacably opposed to Iran. Moreover Iran’s current military threat to the region is being wildly overblown. In the context of the Syrian civil war, Iran’s forces (and that of its Hezbollah ally) have been highly effective largely because they have been operating under the air cover provided by the US, Russia and by the remnants of the Syrian air force. Alone, and if operating without this potent air cover, Iran’s forces on the ground – given its own outdated air force of F-4 Phantoms, F-14 Tomcats, twenty MIG 29s etc ) – would be cruelly exposed by the modern Saudi and Israeli air capabilities, let alone by what the US could bring to bear. While Iran elite forces are more seasoned than the Saudi military, this would not remain a simple head-to-head conflict between Teheran and Riyadh for very long before the rest of the region came onside to bail out the Saudis. In which case, the great uncertainty (and risk of global war) would be the response from Russia. Vladimir Putin could hardly be expected to sit on the sidelines while the US/Saudi/Israeli coalition wipes out the powerful role has just fashioned for Russia in the Middle East. As for Yemen … Iran’s limited military support for the Houthi rebels in Yemen (who control only about one third of the country at most, in any case) pales by comparison with the carnage being wrought (with active US assistance) by the Saudi forces. The Saudis have engaged in (a) indiscriminate bombing of civilian populations, (b) the targeted destruction of water purification plants and (c) the blockading of Yemeni ports to prevent essential medical supplies from getting though – thereby spreading a wide scale cholera epidemic that has been denounced by the UN. 4. Israel has provided proof that Iran was actively pursuing nuclear weapons. More White House lies. All the evidence presented so dramatically last week by Israeli PM Benjamin Netanyahu dated from the period before Iran signed the nuclear deal. There was a good reason why the “evidence” of Iran’s “lies” consisted of dusty files in an Iranian warehouse discoverable by Mossad. It was because Iran, in complying with the deal, had discontinued and filed away its nuclear programme, in return for the lifting of economic sanctions. Under the terms of the deal, Iran had also submitted to a highly intrusive inspection process by the IAEA, which has found it to have been in full compliance with the terms of the deal. When the Iran deal was signed in 2015, Iran was capable of enriching uranium—that is, increasing the concentration of U-235 in a mixture—to 20%. But building a nuclear weapon requires at least 80% enriched uranium, and preferably 95%. That’s a complicated task. In 2015, the Iran deal forced Iran to cut the number of centrifuges it had built from 19,000 to 5,000. And Iran’s centrifuges aren’t very good. “They are slow, outdated by decades—and cheap knockoffs,” says Max Fisher, a writer for the New York Times. The deal also meant Iran had to stop researching advanced centrifuges and give up its stock of 20% enriched uranium. The centrifuges that are still running are heavily monitored, and never produce enriched uranium beyond 3.67%, according to the IAEA.. If it now heads back down the enrichment path, Iran could –theoretically – achieve nuclear bomb capability in a year, but it would then take a decade or more for Iran to weaponise that capacity reliably, and affix it to functioning delivery systems of the quality that say, North Korea possesses today. All of this would also assume that any overt moves in a nuclear direction by Iran would not be met by US and /or Israeli military action. On that point, it is worth recalling that in 2015, Trump’s new national security adviser John Bolton wrote an opinion piece headlined “ To Stop Iran’s Bomb, Bomb Iran” for the New York Times. 6. Tearing up the Iran deal will make the world safer. No it won’t. The Iran deal, however imperfect, limited nuclear proliferation in the Middle East. To repeat: Iran had agreed to abandon its nuclear ambitions in return for trade concessions, which have now been rescinded. Iran did so despite the fact that its hostile neighbour – Israel – already possesses nuclear weapons. The UN nuclear proliferation treaty is still the best tool we have for limiting the global spread of nuclear weapons. It is not perfect, and it is wielded in a highly selective fashion. For example: there is hysteria and threats of military action by the US to deter any nuclear ambitions that North Korea and Iran may have, while the West chooses at the same time to turn a blind eye (a) to Israel’s nuclear stockpile and (b) to the fact that two hostile states – India and Pakistan – possess nuclear weapons, which they, and the world, have come to accept as providing a workable form of mutual deterrence. There is no reason not to allow North Korea the same latitude. However, thanks to Trump’s actions today, Iran has now been given every incentive to pursue nuclear weapons, and North Korea has been given every incentive to hold onto the ones it has. 7. The hardliners in Iran have been put on notice. Nope. In fact it is the liberals within Iran’s leadership – including PM Hassan Rouhani – who have been given a death blow by the US actions today. The hardliners, who had argued all along that this nuclear deal was a national humiliation whose terms would never be honoured by the West – no matter how well Iran observed its part of the deal – have been proven to have been dead right. Iran is, in effect, being denied the right to exist. A healthy majority (57 percent) of voters said that as long as Iran is complying with the deal, it’s in the U.S.’s national security interests to honor it, while 23 percent disagreed. Republicans (33 percent) were the most likely to say that the deal should be torn up regardless of whether Iran was complying, although half disagreed. 9. North Korea will be impressed by this latest US show of “strength.” No, it won’t. Quite the reverse. All along, the Western mainstream media has largely bought into the fantasy that it is Trump who has brought North Korea to the negotiating table – when there is equal evidence that it is North Korea who has lured Trump into taking it seriously as a global player. Check out this timeline. Especially relevant are Kim Jong-Il’s offers/statements made 18 years ago (ie in 2000) about his supposed offers to abandon the missile programme. Many times before, North Korea has played the world like a violin m in order to extract economic gains. This time is likely to be no different. Even before the Iran deal was scrapped, there was no reliable sign that North Korea would be willing to surrender its nuclear shield. Hitherto, the fall of Muammar Gaddafi in Libya had been the main cautionary tale of what happens to regimes that trust the West and surrender their nuclear ambitions in return for trade openings. Now, the vulnerability of Iran to encirclement and invasion has been similarly exposed. If he needed any encouragement (on the eve of the much ballyhooed talks with the US) Kim Jong-Un has just been given a compelling additional incentive to hang onto his nuclear capability. Finally…New Zealand has to decide on its response to this unilateral US action that (a) exacerbates global and regional tensions (b) undermines the cause of nuclear proliferation and (c) potentially exposes us to the threat of economic sanctions by our supposed good friend and ally, the United States if we do not forego our burgeoning trade with Iran. We are dealing with a US President who has no conception of diplomacy (or trade) as being based on compromise and on the pursuit of the best achievable level of mutual advantage. Trump sees all of this as a zero sum game where one side wins big, and one side loses big. It is a sure fire way of ensuring that everyone will lose.